Setup your TRENDnet N300/N150 old and new wifi router with easy steps. TRENDnet N300 TEW-731BR Wi-Fi Router Setup and Configuration for the first time or update old router with new Wifi password and configurations. TRENDnet Wireless N300 Home Router for WiFi as well as Wired internet. This router having 5 dBi 2 external antenna for wireless signal coverage and 300Mbps wireless speed. TRENDnet TEW-731BR router compatible with most of ISP with providing multiple WAN types, PPPoE, DHCP, Static, PPTP, L2TP and many others. Wireless router having 1 x 10/100Mbps Auto-MDIX port (Internet) WAN and 4 x 10/100Mbps Auto-MDIX ports LAN connection. 731BR n300 Wi-Fi router best for 1BHK, 2BHK area to get excellent signal and Wi-Fi connectivity everywhere. In wireless side its support AP, Client, repeater, WISP and Gateway mode and can be the switch as per requirement. Wi-Fi router support Mac filtering as well as URL and content filtering to protect your home from the unusual website. 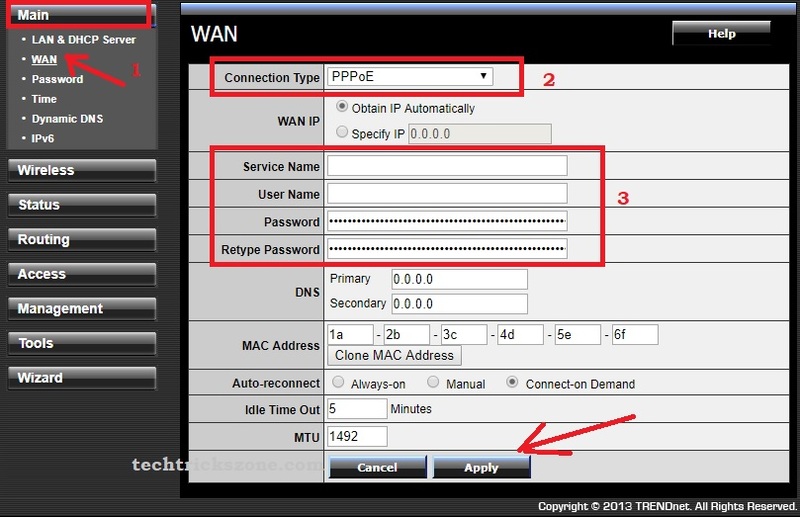 In this post, you will step to the step configuration guide for TRENDnet n300 TEW-731BR Wi-Fi router and also see how to install a router with connection diagram. Trendnet N300 Wireless router Connection Diagram. To setup a router first step starts from the physical connection of the router. 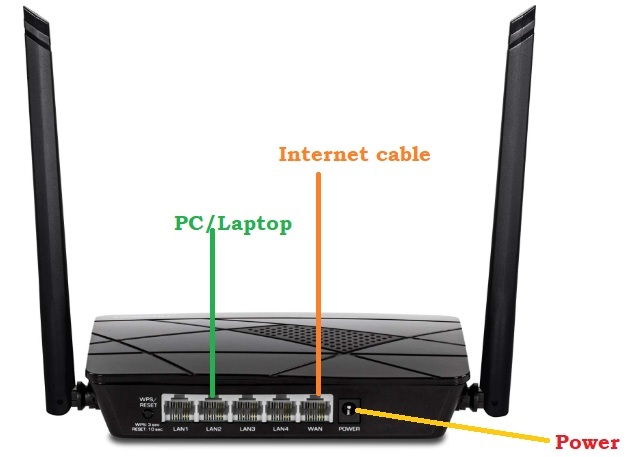 so follow the connection diagram and connect you Trendnet wifi router accordingly to access in PC and Laptop with the wired connection. Power on the Wi-Fi router DC adapter comes with the package. The second step of setup and router installation is to access the router and login the interface with default settings first time. To setup Trandnet router and modem you can get the details of default IP Address and username password on the back side of router sticker. You also get a TRENDnet Quick installation guide with box get the default settings information from it. However, I am giving you TRENDnet router default password and username for you. 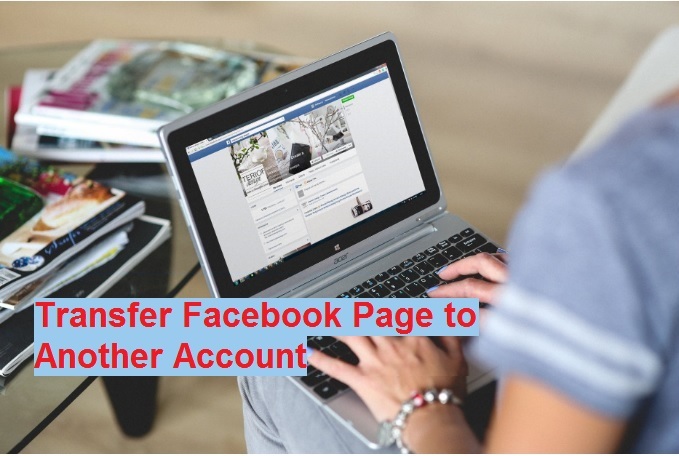 To access Trendnet broadband router configuration open the web browser such as internet explorer, Google Chrome, Firefox Mozilla and open default IP. Now use the username and password to access the web interface of Trendnet wifi router. I am using my WiFi router in default settings so I am going configure TRENDNET N150 Wireless router first time. You can use your username and password in case already configured. To install any broadband router first step is to configure the WAN connection according to internet service providers. When we install a new internet connection at home we got WAN IP, or PPPoE username password depend on the internet type. So ready your Static IP/PPPoE username password got from your internet service provider to complete your Wi-Fi router setup for home. Auto-Reconnect = choose the Always on to keep internet connection dial always. Press Apply button to save. 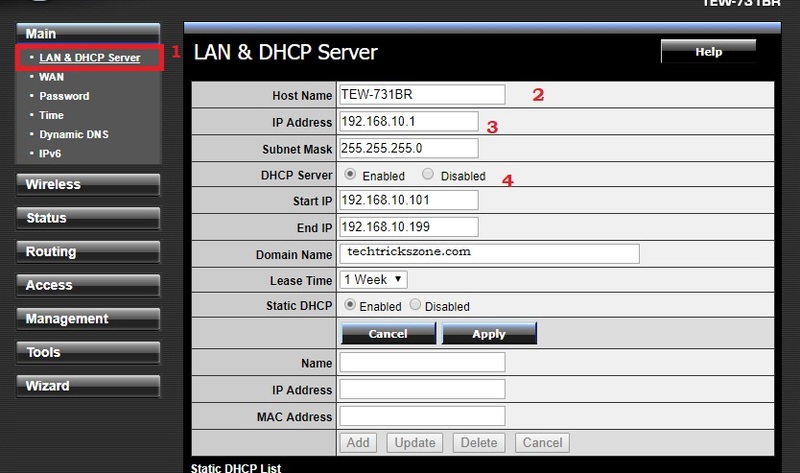 TRENDNET WiFi Router LAN and DHCP configuration. After WAN configuration now the second step is Trendnet wifi router IP Address change from default IP to protect from UN-authorize access and network conflict issue. DHCP Server: Enable and Disable DHCP server with this option. If you are using this router as main broadband router keep enable DHCP server. After complete LAN and DHCP part in TRENDnet wifi modem router now important step is Wireless configuration. Setup of Trendnet Wireless setting divide into two parts as below. SSID: Change the TRENDnet731 default SSID, type the WiFi name you want to give your internet. Channel width= use 20MHz if internet plan less than20 Mbps otherwise use 20/40MHz. Press the Apply button to save the setting and move to the security configuration. To protect your WiFi internet security setting is the important part of setup any wireless router. Confirm Passphrase: type again password to confirm and mismatch avoid. Press apply button to confirm settings. 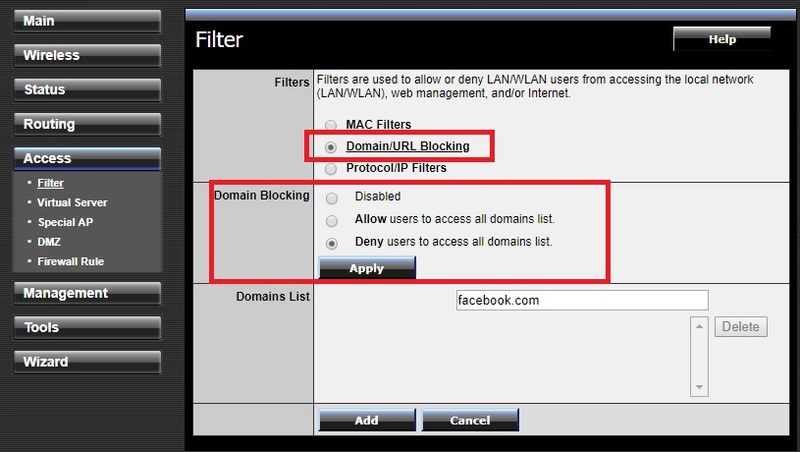 Mac access list also called Mac filtering which an extra layer on Wi-Fi security. With Mac access list you allow to user connect or refuse the wireless connection with your wifi router. 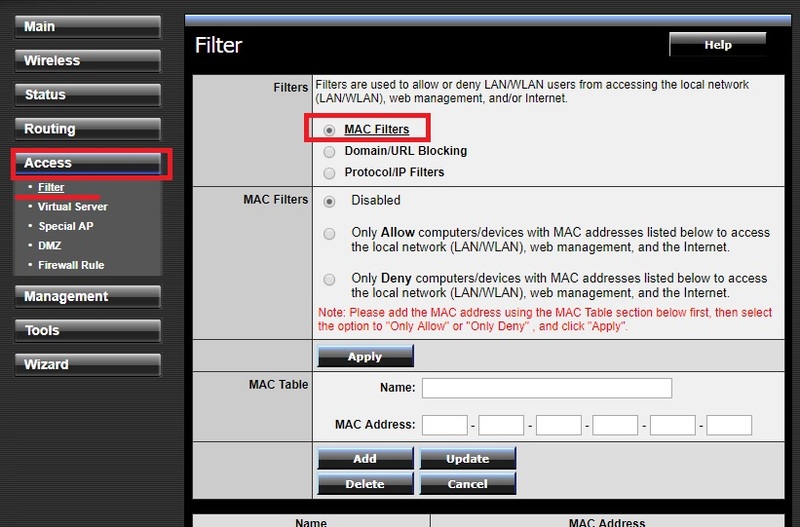 To enable MAC filtering setting in Trendnet wifi router after login follows the steps. Only Deny computer/ Device– use this option if you want to block any specific MAC address in the network. After enabling this MAC list you can protect your home wifi network more. How to Enable URL and content filtering in TRENDnet WiFi router. To protect your child and official work from the unusual website and spammy site always enable the URL blocking in home wifi router. To enable website block in TRENDnet wireless router follow the steps below. Allow the user to access all domain list- use this list if you want to unlock only specific website. 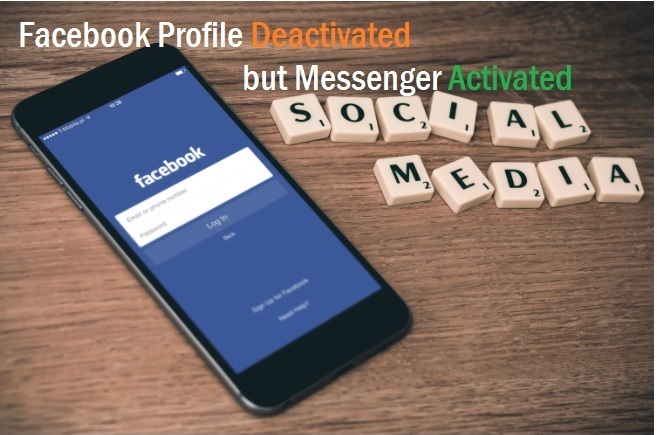 Deny users to access all domain list- use this option to block the specific sites like Facebook, YouTube and any other. If you looking TRENDnet WiFi router Protocol/ IP filtering than you can enable option and block the protocol and IP Address you don’t want to allow access in networks. Trendnet wifi router password Change. Every device comes with a default username and password which can easily get from brand websites. Recommended to always change the default password on the first login. Confirm password- confirm password again. An easy and quick setup manual for TRENDnet N300 wireless router with enabling security and content filtering feature. 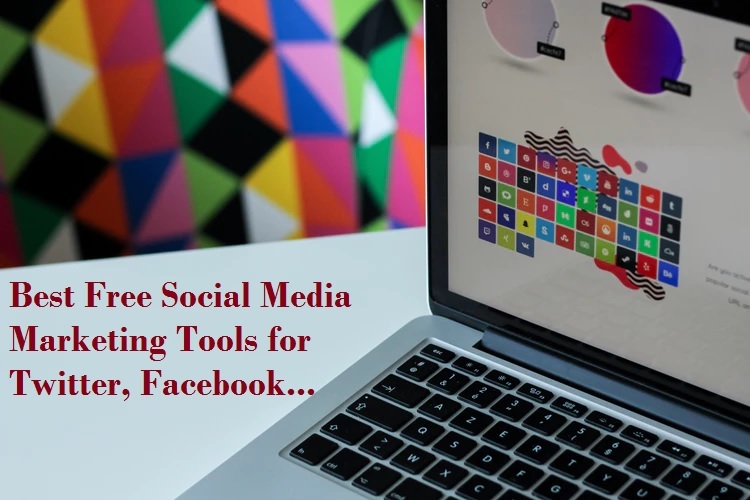 Without knowing a lot of about technical you can just configure your wifi router to follow this tutorial and secured your wifi internet as well as your family and office hours from wasting too much time on unusual websites.